Great Expectations is a famous novel by Charles Dickens. 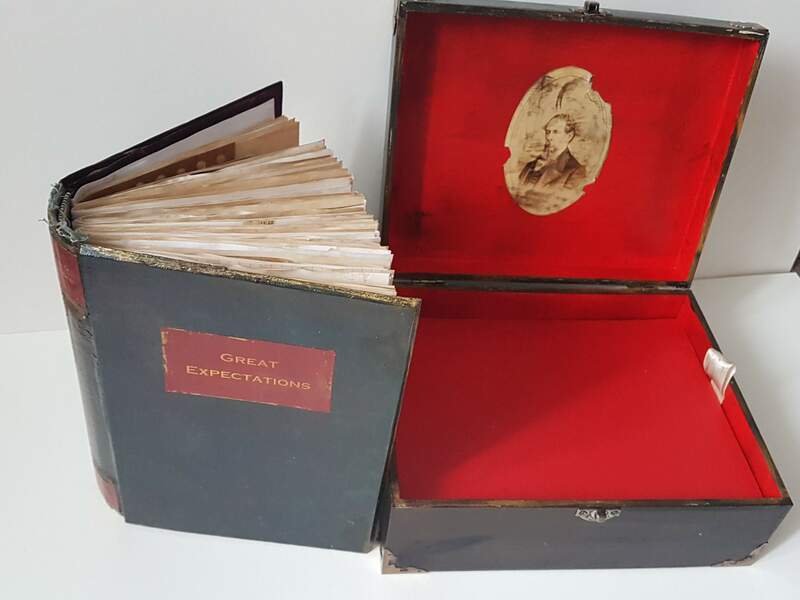 Although the cover and spine have the title of Great Expectations, this journal is suitable for all your thoughts, memories, your art projects, your next great novel. 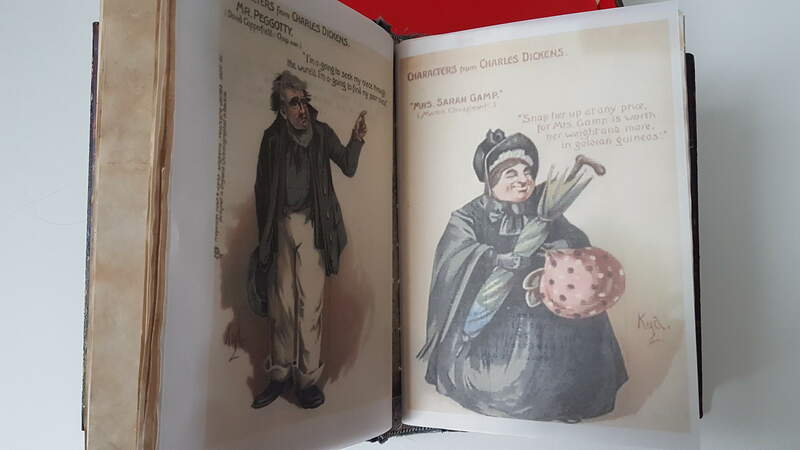 A hard case, hand painted cover, with marbled aged end papers, it has many of Dickens characters within its 200 plus pages as well as quotes from his novels. Lots of plain journaling pages for your ideas. 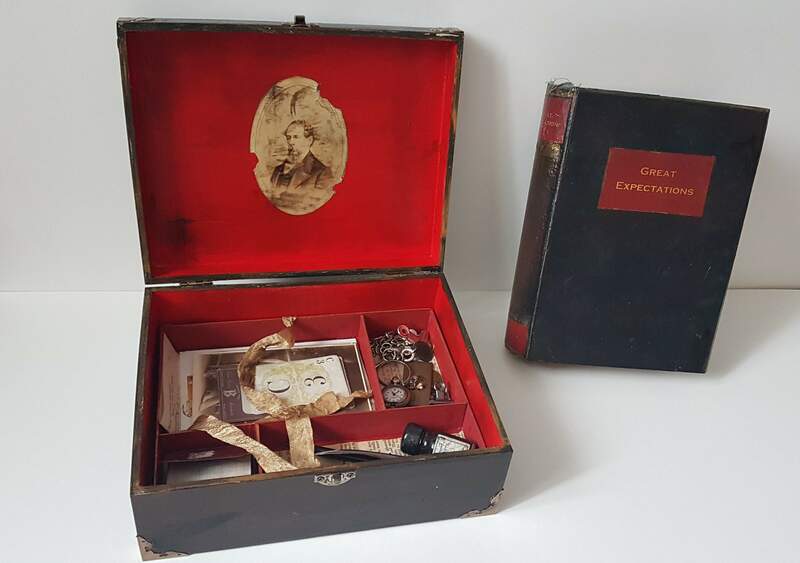 The box has been crafted to look as a vintage writing box and has a lift out tray containing many items, such as a tiny note book, a working pocket watch and many other great items to discover. 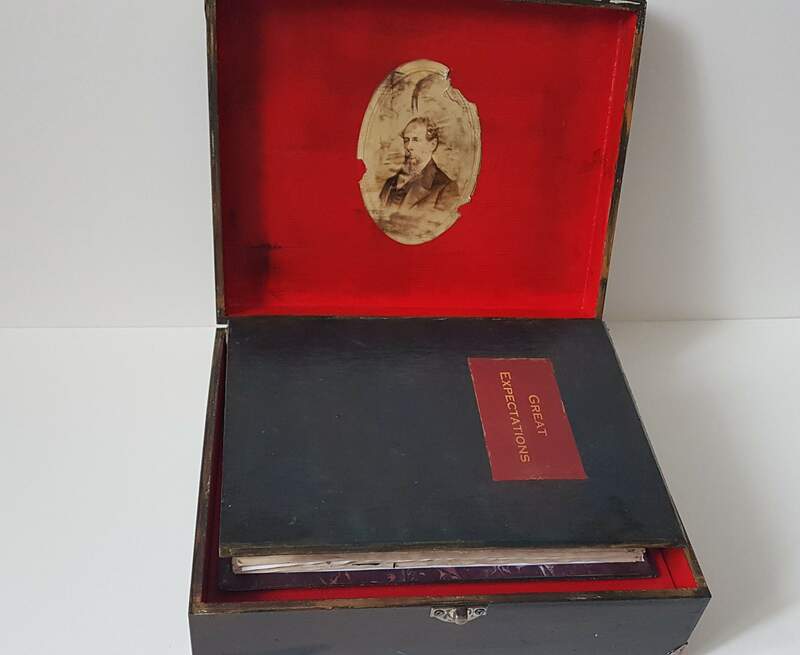 The lid has an aged picture of Dickens. 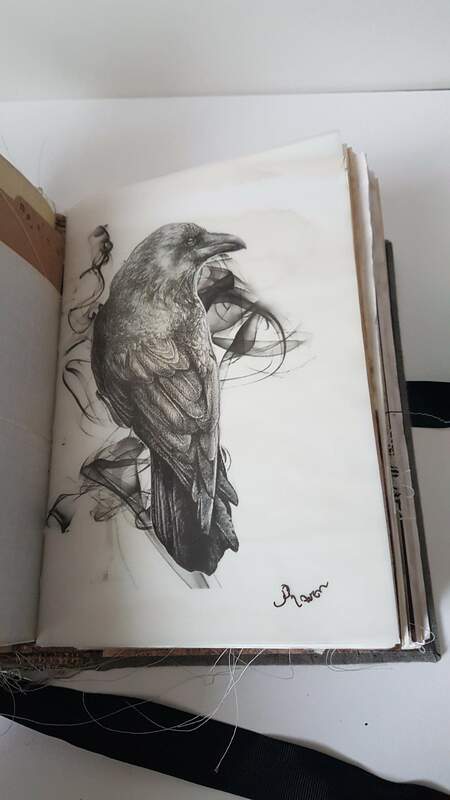 The Raven is a nod to Edgar Allen Poe. 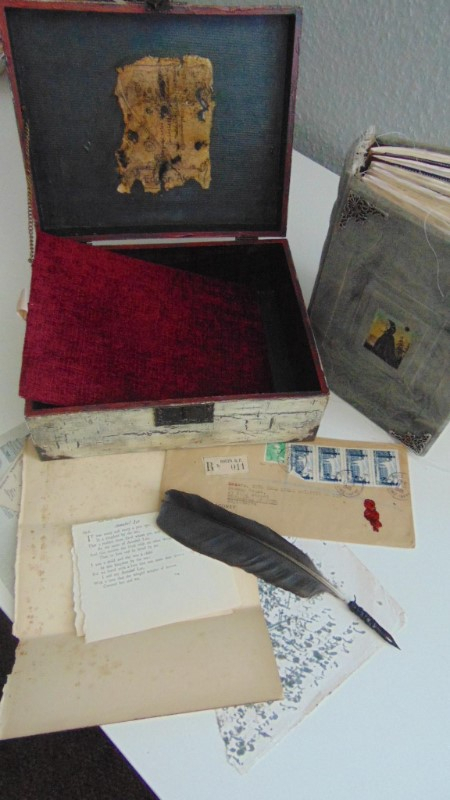 The journal is safe in the crackle glazed wooden box, The hard case book is fabric covered and painted with metal corners and a insert picture of a raven. 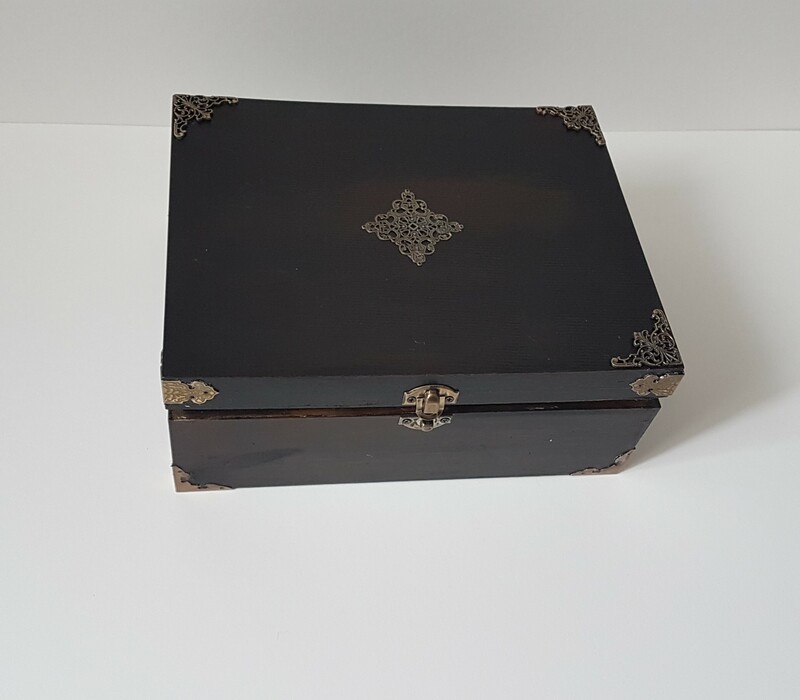 The box has a removable section which hides many interesting items. 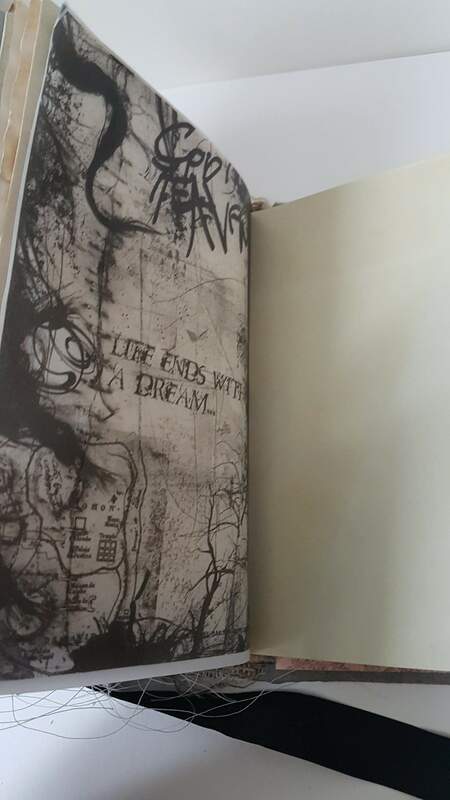 The journal has 200 plus blank pages for your own thoughts and writings. A great gift for any future famous author. A wedding guest book, maybe, your gift imagination hold no bounds, or a special gift for yourself.